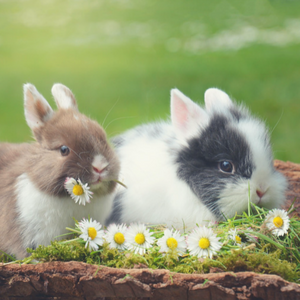 Rabbits are one of our favorite pets because they care relatively easy to care for and have fun personalities. Folks are often surprised how interactive and attention loving rabbits are! Once you visit our store you will soon see that we LOVE our buns! 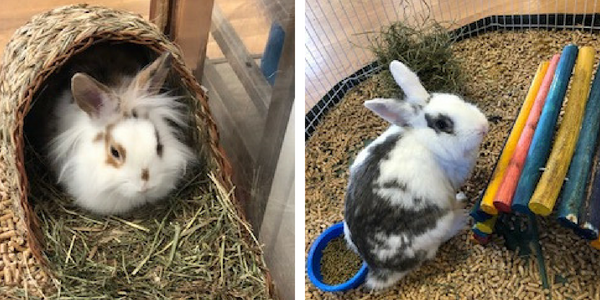 We have a variety of rabbit mascots at our store – Oliver, Stitch and Thor – that love getting attention from our customers. Come on in and visit them! Any item you put in the cage is part of your rabbit's “things” which they can be very possessive and quirky with. Just like people every rabbit has its likes & dislikes from the treats you give it to what house it sleeps in. We stock a great selection of treats & toys & cage accessories so you can discover your bun’s tastes!